The Food and Agriculture Organization (FAO) of the United Nations, in collaboration with the International Telecommunication Union, has come up with the e-agriculture strategy to help countries use information and communication technology to drive rural development. 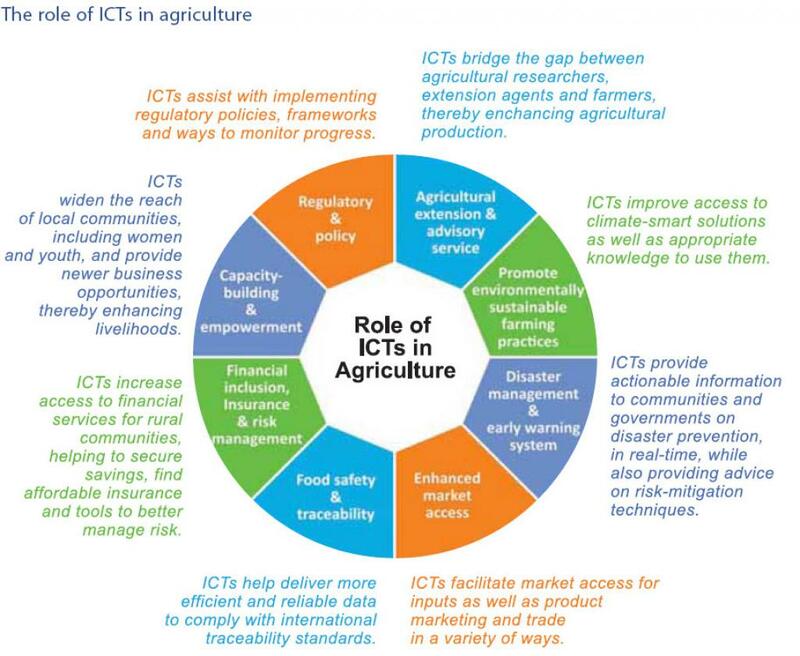 Primarily focusing on agriculture, information and communication technologies (ICTs) can help boost agricultural development by improving farmers’ access to vital information so that they make the best decisions and use their resources sustainably. According to Gerard Sylvester, Knowledge and Information Management Officer at the FAO, ICTs may include devices, networks, services and applications, including internet-based technologies and tools such as telephones, mobiles, televisions, radio and satellites. “Over the last decade, more than 74 per cent of all ICTs in agriculture initiatives have failed to move beyond the pilot stage, resulting in wasted resources. This has happened due to the fact that the necessary ecosystem needed to sustain (the) services wasn’t comprehensively taken into consideration while designing the services,” Sylvester said. In this era of climate change when extreme weather events have become the order of the day, e-agriculture can offer services like weather forecasts and disaster alerts which can help farmers plan accordingly. Today, agriculture has become knowledge intensive and access to right information at the right time makes a huge difference in the livelihood of small-holder farmers. “With right kind of ICT services, governments can provide rural communities with information on weather, market prices and insurance that contributes to their livelihoods,” Sylvester told Down To Earth. The e-agriculture framework can help countries develop their national e-agriculture strategies. In Asia, Bhutan and Sri Lanka were the pilot countries that used this framework to develop their own national e-agriculture strategies. The Bhutan e-agriculture strategy, called the e-RNR master plan, has been approved as of May 2016. The Sri Lanka e-agriculture strategy is now lying with the ministry for approval. 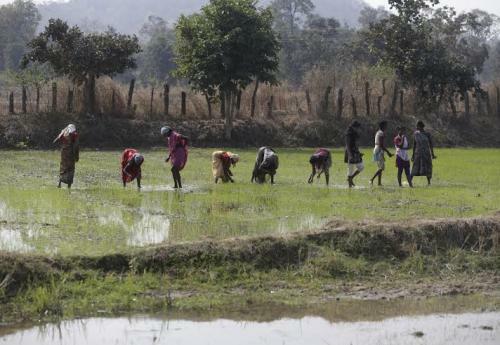 Bhutan and Sri Lanka have become the first two countries in the world to have full-fledged e-agriculture strategies. Access to right information is the key to addressing many problems faced in the agriculture sector. “Disaster preparedness and management, with practices such as smart water management, maintenance of watersheds, accurate weather information and so on can go a long way in reducing the impacts brought about by the vagaries of weather and climate change,” Sylvester said. Right information can mean the difference between farmers going in for semi-arid crops like chickpeas, pigeon peas or groundnuts rather than cash crops for a particular season when rainfall is expected to be below average. 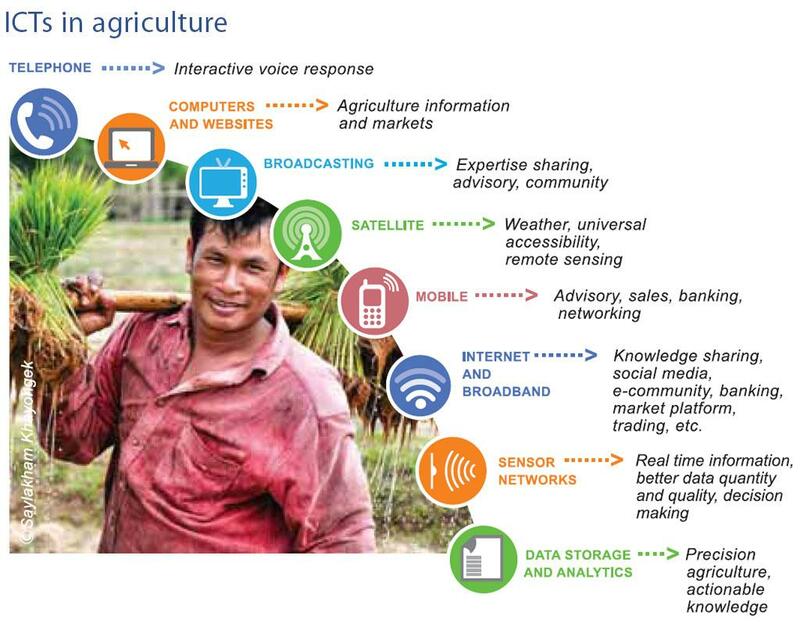 Developed countries are already using an array of technologies for boosting agriculture. 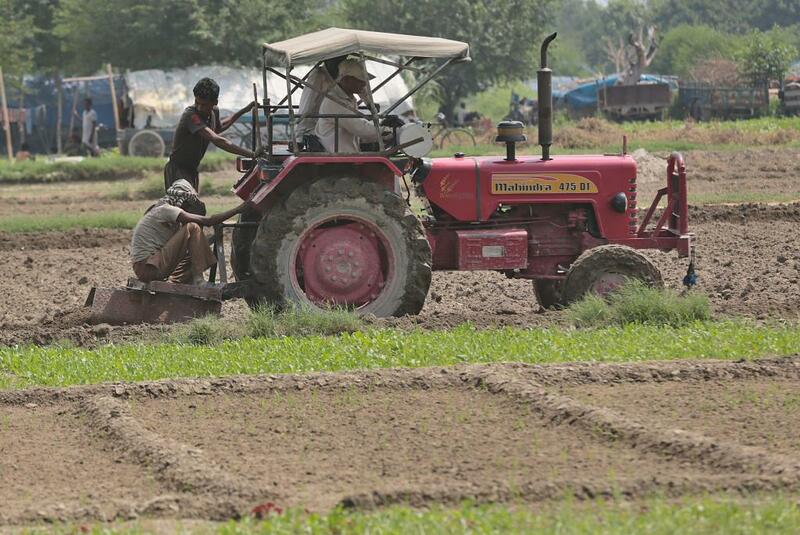 In developing countries, e-agriculture brings accessible and affordable technologies to small-holder farmers. Simple technologies such as investigation to find out about soil health can help a farmer decide on the type of fertilizer to use for his field. Another great thing is to link farmers with markets by giving out market prices information and helping them receive electronic payments. In India, initiatives such as e-Choupal have demonstrated the power of bringing communities together, Sylvester said. “There is a need for strategic approach to integrate the growth and reach of ICTs in other fields such as banking, insurance and mobile technologies for agriculture is the key to identifying key services and solutions and making them sustainable,” he added. The world produces enough food for everyone. One-third of the food produced is either lost or wasted; add to this the problem of people’s access to food being hindered by economic status, conflicts and other man-made problems. All these factors are all in some way a challenge to food security and ensuring a world without hunger and malnutrition.